Virtual spaces and 3D-rendered objects can both be manipulated in on-screen environments and modified by designers in real time. We are now so accustomed to our ability to “fly through” these rendered spaces with computer mice or handheld controllers that they have become commonplace. In today’s oversaturated media landscape, we often take for granted the fact that virtual objects can coexist with our physical spaces through head-mounted displays. Increasingly, these devices also allow for augmented reality (AR) such as Microsoft’s HoloLens , Google’s Glass , and the countless other VR viewers on the market. 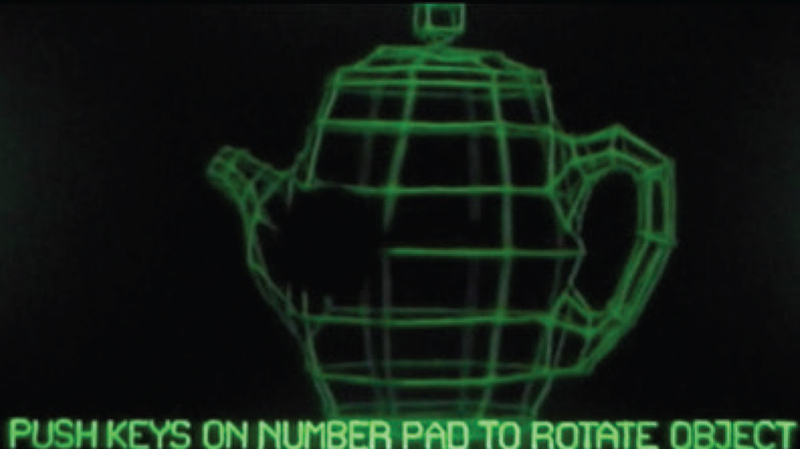 Materializing this theme of virtual reality and object manipulation outside the virtual space of a headset or screen and bringing it into the physical world is Niklas Roy’s Grafikdemo, which consists of a physical wireframe of the quintessential 3D model, the standard teapot, built inside the frame of a classic Commodore CBM, a computer originally produced in 1977. 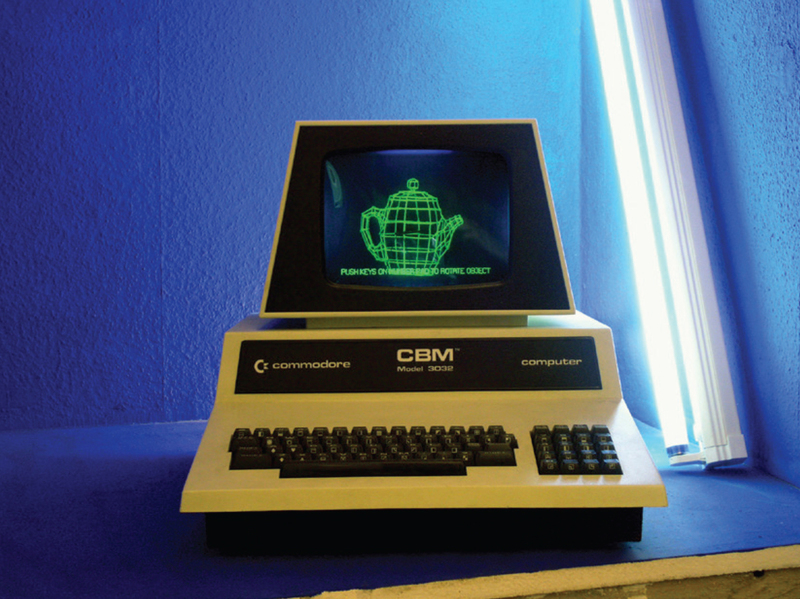 At the time, the CBM was Commodore’s top-selling computer in North America and was Commodore’s first full-featured machine, a predecessor of the classic Commodore 64. Looking back at the historical value of such a machine’s physical attributes and processing power, the inability to render anything useful is contrasted with an analog version of the teapot that sits atop a system of motors and a frame that allows the teapot to be rotated in 3D space in the same way that a traditional 3D model could be manipulated to show it from all angles. The difference in Roy’s adaptation is that the entire process takes place through physical means. 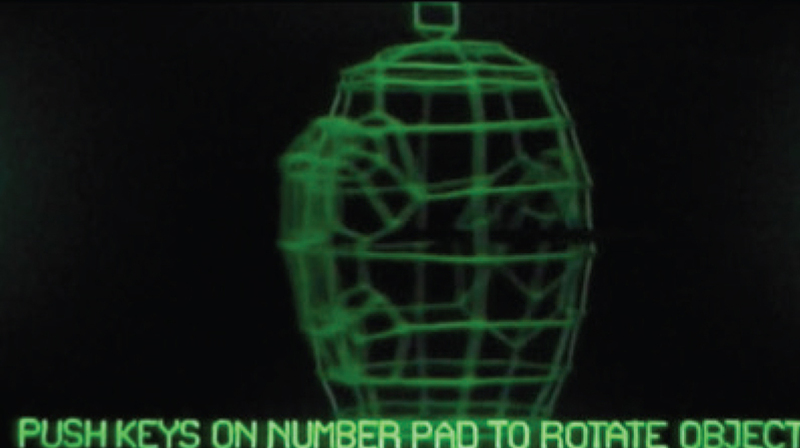 There is no mouse on this computer; only the analog keys of the antiquated keyboard allow visitors to manipulate the object inside, thus exposing the mechanical aspects of the project.